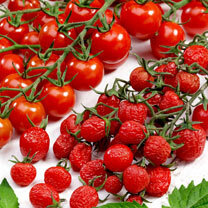 The 'sun-blushed' tomato plant, plants produce long trusses of bright red, semi-plum shaped fruit, probably the sweetest tomato you will ever grow. 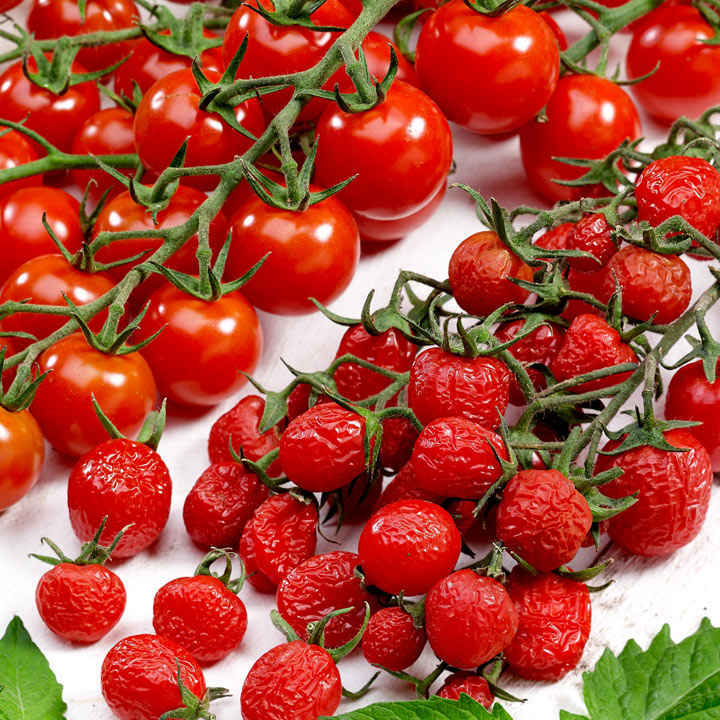 They're deliciously sweet picked fully ripe like a normal tomato, but fruit will start to 'dry' on the plant without splitting or dropping, this means they get even sweeter and have the texture of Italian antipasti tomatoes. Vine dried, wrinkled fruit can be stored in jars of olive oil for use throughout the year.